What are you doing this Friday night? Staying in or heading to town?! I think I may be staying in, it's really cold....and it's so much nicer to keep warm with cuddles with my hubby and my puppy Cooper. Talk about 3 is a crowd! haha.. Anyway, can't believe that it is August now! It is my favourite month of the year! You may wonder why...or not...it's because it's double celebrations for me! It's our very first wedding anniversary and my birthday! Time flies! Seriously, so many things have happened within the year! 1 - Did you know it is Valentines' Day this Saturday. I just found out myself, it is the Chinese Valentines day! 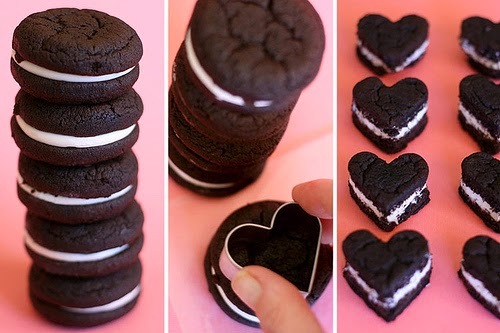 Make this Mini Hearts Sandwich Cookies. Bakerella comes up with the cutest sweets ever! 2 - Staying in this weekend? 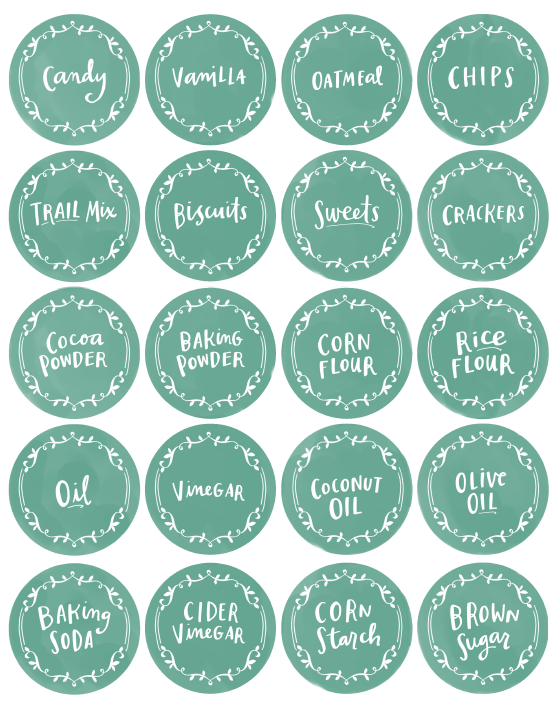 Thinking of organising your spice jars, print these cute labels. 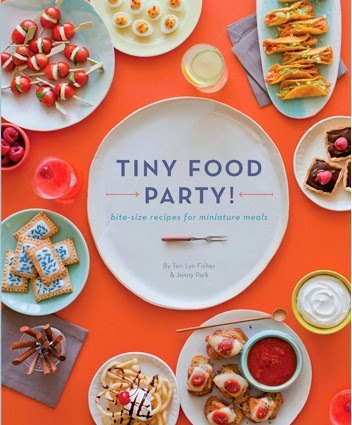 3 - This book Tiny Food Party by SpoonForkBacon is so adorable...everything from sweets to savoury and they are all in tiny bite sizes! Really great for entertaining. 4 - Thinking of making something classic like a cupcake? 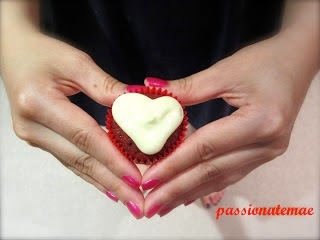 Try my fluffy Red Velvet recipe! 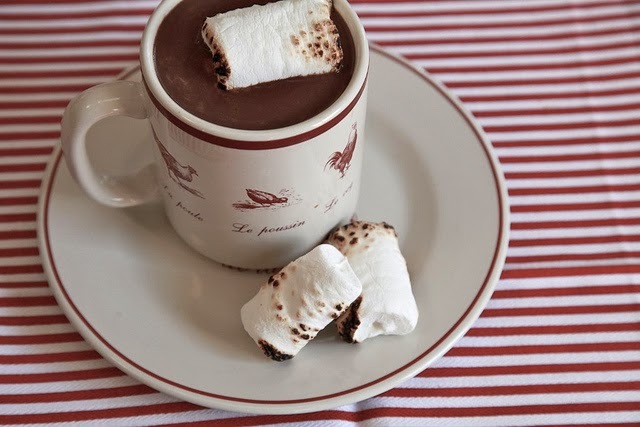 5 - Keep warm with a Hot Cuppa Chocolate with Marshmallows. How to use Menulog & a Giveaway! !